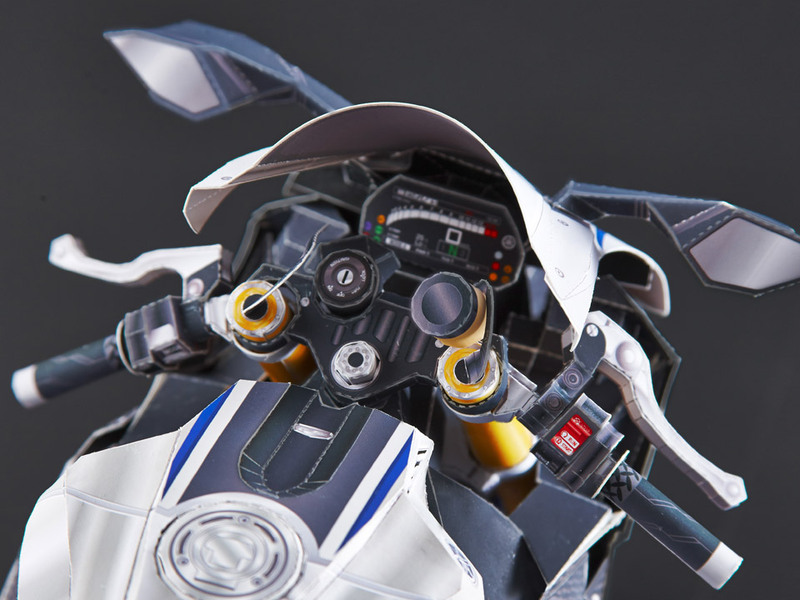 ﻿ Ultra Realistic Paper Crafts : YZF-R1M | Paper Crafts(Origami) - Entertainment | YAMAHA MOTOR CO., LTD.
What are "ultra-realistic" paper craft kits? 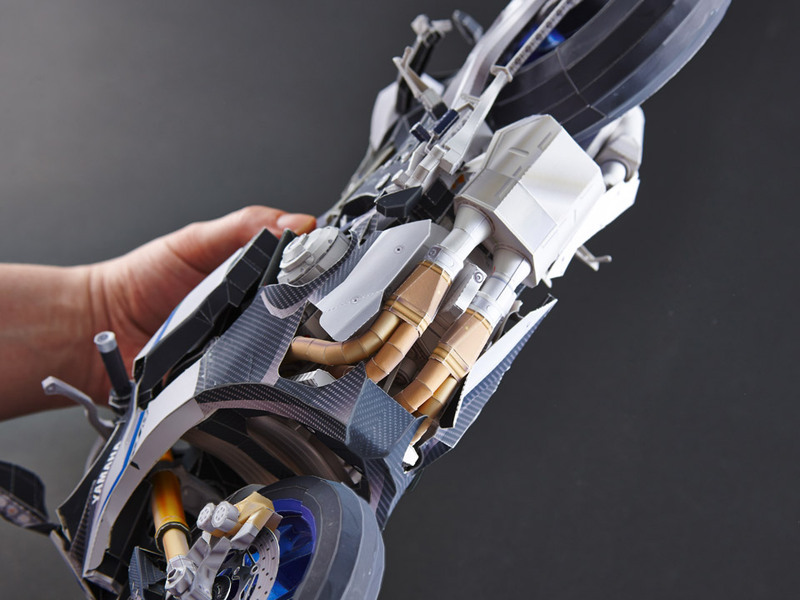 It is - the recreation of a motorcycle using paper, with ultimate precision, finding delight in putting together each of the numerous parts one piece at a time to see its form taking shape. Achieving a sense of accomplishment once the work is completed. A one-of-a-kind experience that only those who take on this challenge can appreciate. 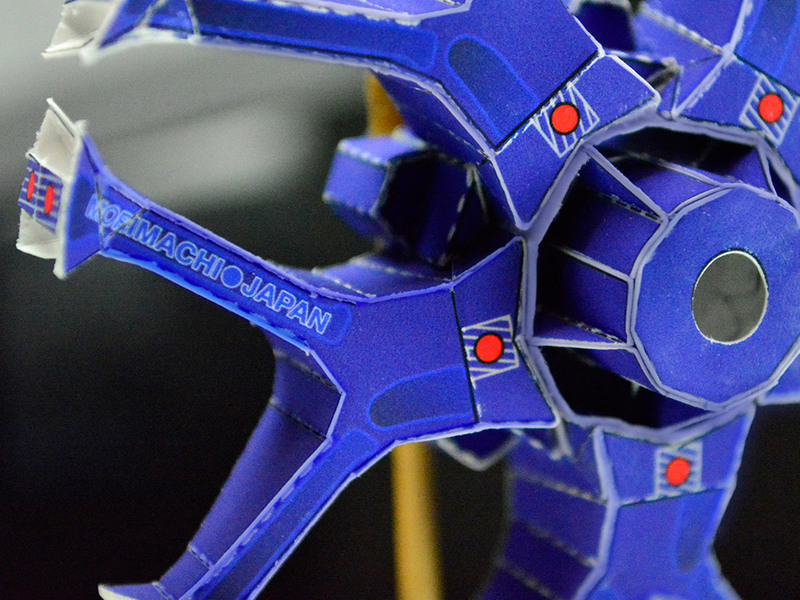 The ultra-realistic paper crafts aim to exceed realistic paper crafts, exuding a compelling presence with elaborately detailed parts, looking so close to the actual machine. 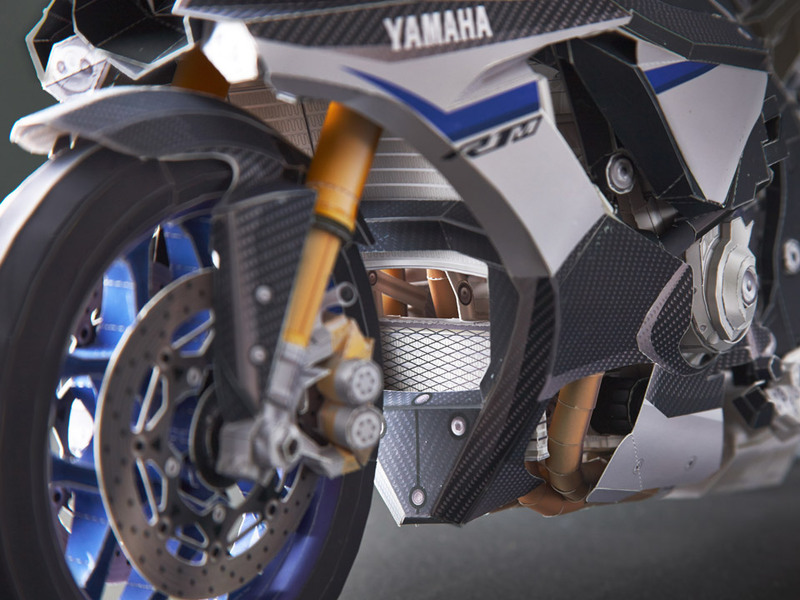 Featured as the third edition of the ultra-realistic paper craft kit series is our flagship super-sport model, the YZF-R1M (2015). We’d have to warn you, however, that it won’t be easy to complete it. The YZF-R1 series, firmly established as the supersport model, is the flagship model that represents Yamaha's leading-edge technology and design philosophy. 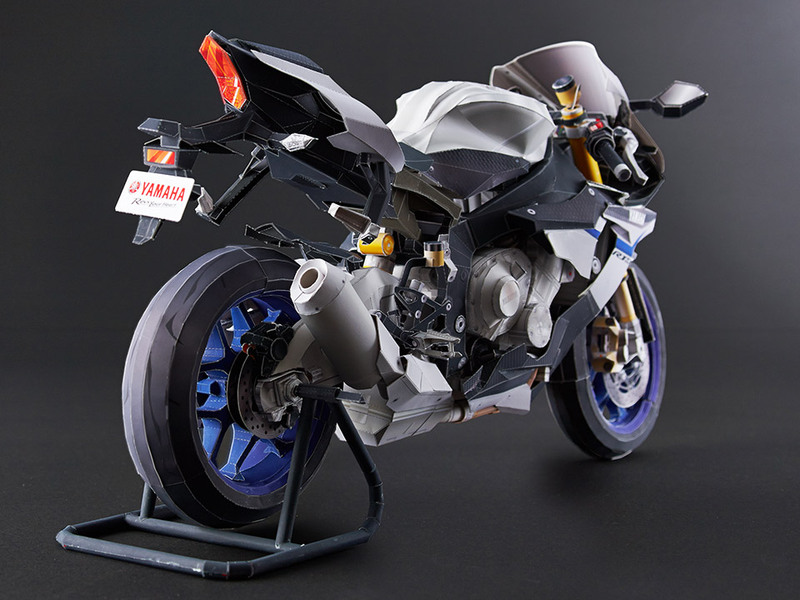 Even in recreating our motorcycles in papercraft, the R1 series is highlighted as an exceptional symbol. 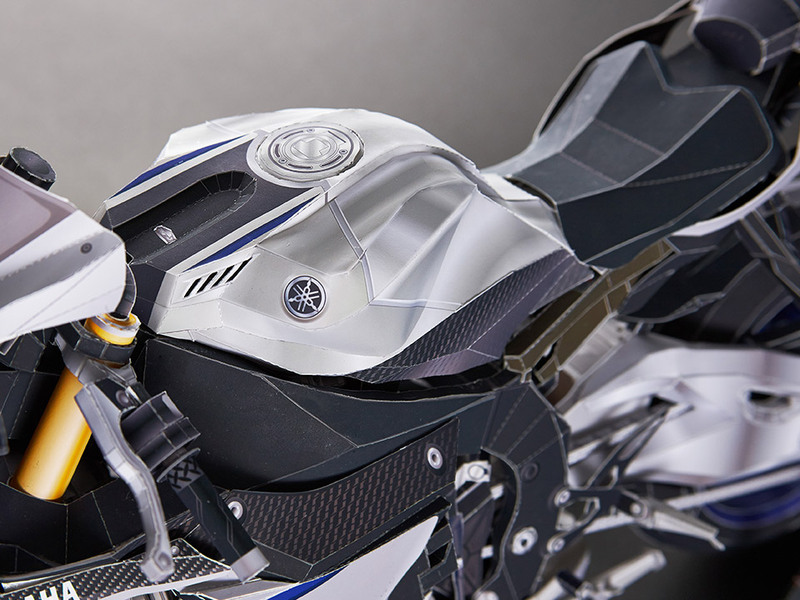 It was to present Yamaha users with its latest product representing our times that the first R1 model was recreated in papercraft in 1999, followed by another version in 2007. The YZF-R1M, introduced in December 2014, has a renewed concept and design, recreating itself as a new symbol. 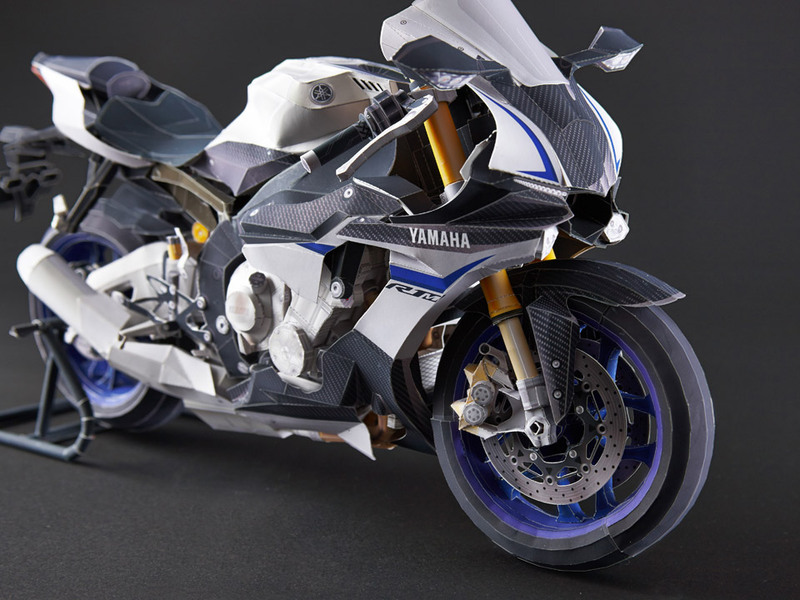 This pinnacle of Yamaha products will be offered as the ultra-realistic paper craft kit model, further upgraded than the realistic paper craft version. Feel the fascinating attention to detail in this ultra-realistic model. You can download A4-size PDF files divided into 5 blocks. We found that the data released on December 15, 2015 needs to be revised. We sincerely apologize for any inconveniences this may have caused. All the download data has been updated with necessary revisions. We are sorry for the trouble but if you have already downloaded the data, please try and download the revised version. Please install Adobe Acrobat Reader DC Plug-in in your browser in order to view these contents. Here is the information you need to download a PDF file. 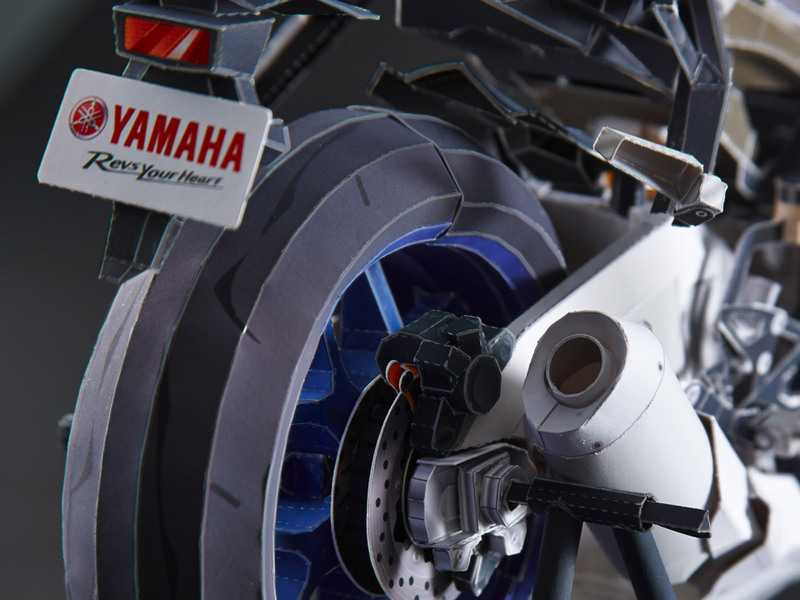 The Yamaha Motor Paper Crafts Gallery is where you can post images of our paper craft works you’ve completed. Mr. CraftFan, who manages the gallery, had a go at creating a projection mapping project that visualizes the world of YZF-R1M, using its paper craft prototype. Please take a look! Please post images of your YZF-R1M to the gallery to celebrate its completion. We’re looking forward to seeing your posts online.